Floating the river and tipping back cold beer is no way to get fit. Kelly found the right way and truly lives the fit life! 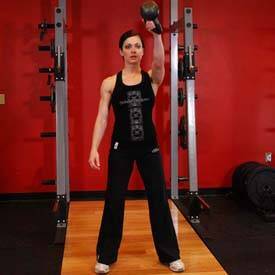 When Kelly started lifting, she could barely curl the lightest of dumbbells. She hired a personal trainer and started to get stronger, to overcome her skinny-fat image in her family pictures. She started from the beginning, but gave full effort, and her gains in strength and physique came hard and fast. Most importantly, she got herself and her family on a healthy eating plan. Her fitness was never just about her own body. Everything she does affects others around her. Because of her influence, Kelly has been able to help her husband and children achieve healthy goals. Read on to learn more about this impressive woman! I had always been this "skinny" girl, never considering the need for the gym. I currently weigh 150 pounds and am the healthiest I have ever looked and felt. Prior to weight training and gym-going, I averaged 135-140 pounds and had an obsession with trying to maintain that fat-skinny weight. I have two children who were born 18 months apart. Five months postpartum of each, I would be down to my normal 135-pound prebaby weight—no gym needed. Little did I know, I was making some unhealthy choices for my family and myself. My husband and I love going to the river with our friends, throwing back some beers, and relaxing in the sun. At the end of summer 2012, I decided to join a gym in the same area where I work. I made the decision to go there on my lunch breaks. It was a 30-second walk from my work. How much more convenient could it have been? It took a few days talking with some of the gym personnel for me to decide to sign on with a personal trainer. I&apos;ve been bombarded with personal trainers before in other gyms. They&apos;d look at you and just see a paycheck, not your personal interest or goals. The trainer I hired was different. She took a personal interest in my goals and made my sessions all about me. I expressed my goals of working off all the beers I drank over the summer. She guided me to healthier decisions for myself, and helped me gain a passion for fitness and everything involved around it. I am currently on prep for my next competition. I work out 6 days per week and 2-3 of those days I lift twice per day. My personal trainer made it fun and pushed me in the right ways. 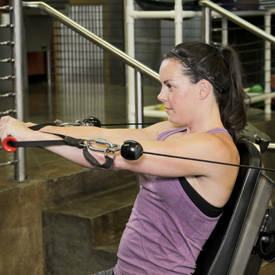 She&apos;d say: "One more set Kelly, you can do it!" or "add the weights Kelly, I know you can!" I can still hear her in my head. In my own head I could tell myself "C&apos;mon Kelly, one more set! I can do this." 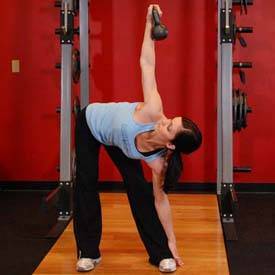 I started out struggling to curl an 8-pound dumbbell. I can still hear the giggles out of my trainer. Now I struggle with a 30-pound weight. From where I started to where I am took a huge progression, and I couldn&apos;t be more proud that I accomplished this. At the beginning of 2013, I decided to study fitness through ISSA and obtained my CPT certification. In November 2013 I decided to hit the NPC stage and start a whole new journey. Consistency in the gym! I like training with the pyramid principle. 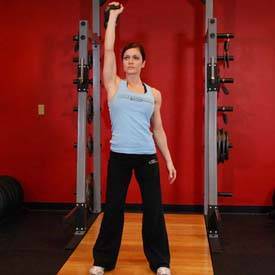 It helps me feel my capability to lift heavier weights, and to challenge my muscles. I always start off as heavy as I can go and do at least 2 of my 4 sets with heavy weights and low reps. On my last two sets, I lower the weights by 5-10 pounds and add more reps. I am currently on prep for my next competition. I work out 6 days per week and 2-3 of those days I lift twice per day. I incorporate four cardio workouts within my weekly routine, along with my strength training. My biggest focus in the gym for my next competition is toning up my booty. I always had a large behind and have a tendency to lift heavy when it comes to glute and leg day, but I now pull back from that. My glute muscles are well built so now I lift a little lighter and add more reps. I do portrait photography as a little side business of mine. When I was 16, my dad gifted me with a 1980s Pentax Super ME SLR with all the bells and whistles, various lenses, and everything to fiddle around with. My interest took off from there. During the offseason I find myself in the gym 5-6 times per week, but I only incorporate cardio twice per week doing my spin classes. On Saturday mornings I hop on my treadmill at home for a 30-minute run, but other than that I keep cardio to a minimum and work mainly on my strength training. I superset my exercises, but in 2 sets each; so if I do 4 supersets I will do 2 sets of the first exercise, then 2 of the next exercise. It is amazing what eating 5-6 meals per day can do not only for your body while trying to lean out but the overall feel of it! Prior to my first competition prep, I was on the "stuff my face three times a day" diet, and halfway through my gym session I&apos;d feel nauseous and rundown. Once I started eating 5-6 meals each day my competition coach asked me how I was feeling and my answer was "flipping amazing!" I was actually able to get through my whole workout completely energized with no more nauseating feelings! Because most of my workouts are done in the morning after the kids get dropped off at school, I have to meticulously plan my meals according to when I actually hit the gym. I like to eat within 30-45 minutes after I wake up, which gives me time to get the kids situated with breakfast and making their lunches. Then I eat my first meal, which is about 60-90 minutes before gym time. Then I eat every 3 hours after that. Lean meat (chicken, ground turkey or tilapia): 4 oz. I have really bad knee joints and wrist joints so I make sure to take supplements such as my fish oil and glucosamine throughout the day to help lubricate them for optimal movement during exercise. I first fell in love with the idea of challenging myself. I love that I&apos;ve finally found something I can do for myself and set goals and see amazing changes. The second thing I fell in love with was that I was setting a healthy example for my children and making healthier choices for them. The mind of a child is so easily impacted with what the parents are feeding them or offering to them. My kids honestly prefer a salad over french fries at restaurants. It makes me feel good as their parent guiding them in a healthier direction. Fitness to me isn&apos;t all about the esthetic of it, it&apos;s about the healthy lifestyle as well. I love that I&apos;ve finally found something I can do for myself and set goals and see amazing changes.. I enjoy the thought and feeling that I have children to live for. It also kick-started my husband to strive for another level of fitness and do better for himself as well. The trickle effect is real! It makes me feel good when others see the hard work and effort I put into my healthy lifestyle and fitness regimens, and they make efforts and accomplishments for themselves as well. On the days I start to feel really down or need the extra push, I often turn to myself and reflect on what I have already been through to get where I&apos;m at. I get silent and talk things over in my head, then turn to my husband for a pep talk (which he&apos;s really good at), then I kind of go silent again and revisit my goals and re-pep talk myself. I do currently hold my certification as a CPT and am currently studying fitness nutrition. My hopes are to launch my own online personal training by the beginning of 2015 to reach out to others looking for motivation. I am currently striving for my IFBB pro card to continue competing for myself. I love competing! And it wouldn&apos;t hurt to land a fitness-related magazine cover! That&apos;s definitely on my bucket list! There comes a time in life when you need to make the decision to invest in yourself! It took me five years after my son was born to do so. I was so consumed with being a mother of two, and my job, and taking care of the house and everything else just created this whirlwind of taking care of everyone else but me. I feel so much better now that I have it all organized where I am still able to take care of my family, the house, my side business, and my needs and wants. There comes a time in life when you need to make the decision to invest in yourself! Find your own way of organizing your minutes, hours, days and weeks. You&apos;ll find an extra hour or two to hit the gym or do your daily workout. You will begin to see many opportunities open up. Which will help you balance your needs and wants while still caring for those around you. I commend any competitor who builds up the courage to step on that nerve-wracking stage. One competitor who deserves mentioning as far as my inspiration to start competing is Chady Dunmore. She was the first inspirational fitness figure I started following on Instagram. She lays it out that busy, hard-working moms can succeed in their fitness goals and have these kinds of accomplishments for themselves. I am on Bodybuilding.com two to three times a day. I&apos;m full of curiosity and a bunch of "why is this" and "why is that" kind of questions. I turn to Bodybuilding.com because I trust the professional opinions. 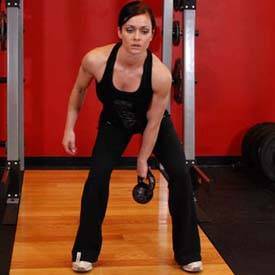 I love finding new workouts from the trainers to throw into my routines, and the forums help answer a lot of tedious questions I come up with. I also recently became part of the BodySpace family about a month ago. I enjoy seeing other people&apos;s progress, I can track my own progress and workout routines, and find new ones to add into my routines as well! What music pumps you up to exercise?